All our professionals at Rockingham Family Dentistry maintain the highest levels of accreditation and pursue ongoing education to stay abreast of the latest trends in dentistry. Dr. Hameed always knew he wanted to be a dentist and feels lucky that he has been able to realize his passion through his daily work. Dr. Hameed is passionate and proficient with treating patients of all ages and dental needs -- extractions, crowns & bridges, root canals, and dentures, as well as composite restorations. As both a family dentist and father, he desired a family dental practice - one that provided adults, teens, and children of all ages the latest in patient comfort and technology. Dr. Hameed uses state-of-the-art equipment and the most current techniques available. He feels most rewarded when his patients refer and entrust him with the care of their family and friends. Dr. Hameed has the "magic touch", creating that perfect smile. Patients from Eden, Reidsville, Stoneville, Madison, Wentworth, Danville (VA), Ridgeway (VA), Martinsville (VA)and surrounding areascome to our dental office to be treated by Dr. Hameed. He continuously keeps abreast of the latest advances and developments in the field of dentistry, participating in numerous postgraduate education and special training courses. 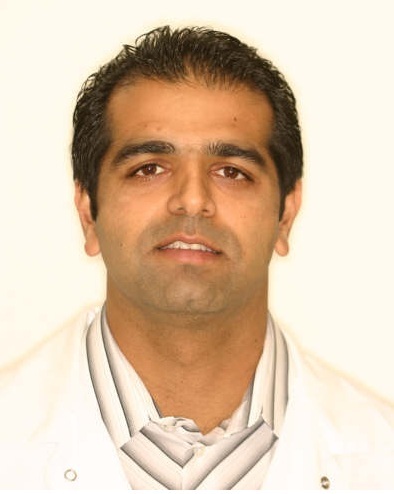 Dr. Kamran Hameed graduated with a Bachelor of Science Degree in Biology from University of California, Irvine before moving to the East Coast in 1997 to start his dental education. Since graduating from Tufts University School of Dental Medicine in 2001, he has worked at private practices in California and North Carolina. While at Tufts University School of Dental Medicine, he received a certificate of appreciation for remarkable achievements in clinical performance and got a chance to learn from Health Providers in different fields at the New England Medical Center. Dr. Hameed values giving back to the community. Dr.Hameed and his Staff volunteer their time and services with Give Kids a Smile each year by providing dental treatment to underserved children. Dr. Hameed volunteered time to help building houses for Habitat for Humanity. 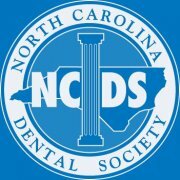 Dr. Hameed is a proud member of the American Dental Association and the North Carolina Dental Society. Dr. Hameed has been married for over 15 years. He and his wife have two beautiful children. He is an active member of various community service organizations. When he is not working, he enjoys basketball, movies, meeting new people and playing an active role in raising his children. He looks forward to treating you and your family with his team. “Dr. Hameed believes being a good listener is essential in providing quality dental care and achieving the highest level of patient satisfaction. Our office strives to have each patient’s experience be one that goes beyond their expectations." Dr. Hameedhas gone to great lengths to choose ideal team members to care for our valued patients. Our hygienist, assistants, and front office personnel are the heart and soul of Rockingham Family Dentistry. The clinical staff is highly trained in the latest protocols for safety, treatment, and technology. Every member of the team is dedicated to delivering an exceptional dental experience for every patient, every day. Nadia supervises all business aspects of the practice from hiring and supervising staff to overseeing patients financing. She has a Bachelor degree in Mathematics and Statics and has been with the practice since 2010. She enjoys the opportunity to interact with both patients and the staff at the practice as well as the chance to always be learning something new within the field of dentistry. Her strong business management, organizational and computer skills and dedication to a strong work ethic allows her to get tasks done successfully on a daily basis. She enjoys spending time with her family and friends. After she got married, she has also learned to love sports; that is all she watches other than cartoons with her sons. Sandy joined Rockingham Family Dentistry in 2011. Born and raised in Virginia, she and her husband Jeremiah have two girls Sarah and Sydney. She enjoys spending time with her family, traveling and watching her daughters play Basketball. She enjoys helping and educating patients and is an excellent addition to Dr. Hameed’s team. Syndi enjoys meeting patients and looks forward to getting to know them better. She believes good customer service is the key to business success. She brings a tremendous amount of experience dealing with people and is dedicated to the daily operations of the practice. She also speaks Spanish to assist Spanish-Speaking patients. She looks forward to meeting you and answering any questions regarding the practice. Janice has been a Dental Hygienist for the past 14 years. Her favorite part of the job is meeting new people every day. It is really important to Janice that all patients receive the most comfortable and best quality treatment available. She lives in Madison with her two children. Janice and her children enjoy a wide variety of activities including hiking, biking, volleyball, performance arts, baseball and music. Cassy was born and raised in Glen Cove, NY. She now lives in Greensboro, NC and loves it there. She has two beautiful children who she loves unconditionally. Cassy has been dental assisting for 17 years now and enjoys every bit of it. She received her dental education from Chapel Hill and Wake Med University. Cassy enjoys helping and educating all patients no matter what age they are. Maria graduated from Sunrise School of Dental Assisting. This occupational field intrigues and captivates her because she enjoys interacting with people on a daily basis and aiding with their needs. She also thoroughly enjoys being surrounded by a supportive staff that encourages her in all possible ways. She enjoys expanding her horizons and education in the field of dental assisting. Cinthya graduated from Guilford Technical Community college. She is so grateful to find a job she loves and to be working with such great people. Cinthya looks forward to learning new things and be able to expand her knowledge. She loves helping others. One of her main goals is to become a great dental assistant. Being from Mexico herself, she enjoys being able to assist Spanish patients. In her free time, she loves spending time with family and friends.